In Western Australia, whether you can recover legal costs after you commence court proceedings will depend on the size of your debt. You should carefully weigh up the costs of pursuing it against your likely return. If you obtain a court judgment against the debtor for $10,000 or more, the court will generally order that the debtor pay your legal costs. 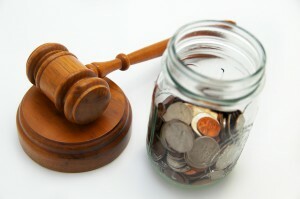 However, the amount you can claim from the debtor is limited by a regulatory scale. We estimate you will generally be entitled to recover about 80% of the fees we charge you and most of your disbursements (i.e. court filing fees and sheriff fees). If your debt is under $10,000, you cannot recover any of the fees we charge you unless there are exceptional circumstances. Such cases are very rare. This rule applies even if your contract says you are entitled to be indemnified for legal costs. You are entitled to recover most of your disbursements and some of the legal costs you incur in enforcing any judgment you obtain (for example, for means inquiries and property seizure and sale orders).